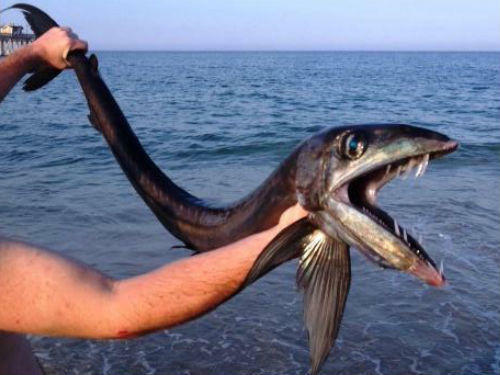 NAGS HEAD, NC (WBTV) –Photos of a mysterious deepwater fish are going viral on social media after the strange looking fish washed up along the North Carolina coast on Monday. 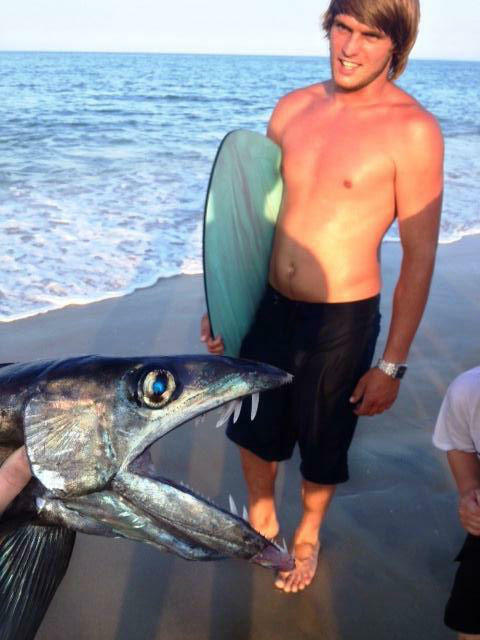 The fish, believed to be a lancetfish, washed onto the shore along Nags Head, along the Outer Banks, just south of Jennette’s Pier. The photos were taken by Leif Rasmussen from Manteo. Officials with Jennette’s Pier say the fish was alive when it washed up on the shoreline Monday evening. Because of its appearance and its long and very high dorsal fin biologists on staff with Jennette’s Pier believe the fish is a lancetfish. Lancetfish have large mouths and sharp teeth and are typically known to be deepwater fish. Very little is known about the lancetfish’s biology, but they are known to be in all of the oceans, except the polar seas.